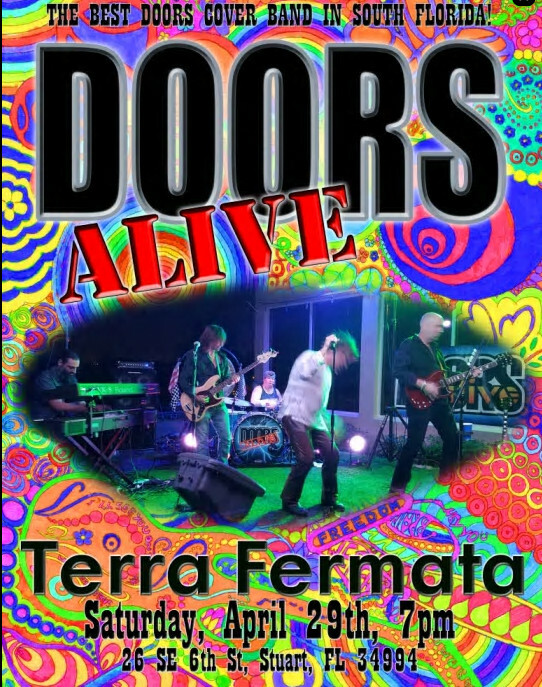 Doors Alive is a group of talented musicians dedicated to delivering the most accurate recreation of a live Doors performance that you have ever seen. From the dramatic to the eerie, from the jazz influences to the straight up rock and roll, you will be astounded by the bands ability to entertain. With decades of experience, Doors Alive takes command of any venue: nite club, concert arena, private event or outdoor festival. Doors Alive is a must see for any fan of the original group longing for days gone by or the music lover intrigued by the mystique that made Jim Morrison and The Doors one of the greatest rock bands in history.